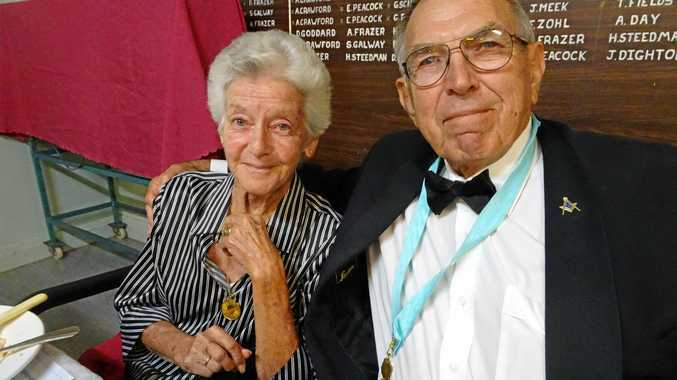 Robin Schweitzer and his wife from Augathella Lodge number 319. Stig Hokanson. A CONTINGENT of Freemasons descended on Augathella over the weekend, delivering $10,000 and plenty of friendly support to the town under the clarion call of Roll Up at Augathella. They had learned of the plight of drought-stricken towns across the west, and after connecting with the local lodge, decided to raise funds for the townspeople, with the idea that the money could be spent in town by the people, either on groceries, meals, hairdressing, car repairs, or however else they saw fit. In comparison to federal and state relief, the masons' contribution was small. But it was well received, and much appreciated by the beneficiaries, and the goodwill from the visiting Freemasons did not end there. 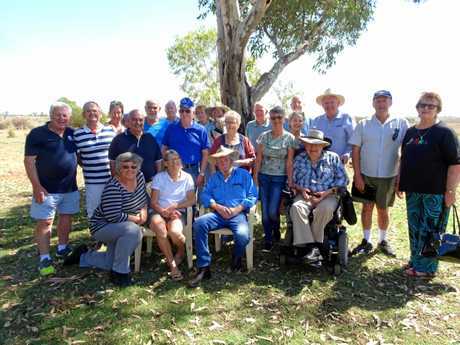 SUPPORTERS OF THE BUSH: Freemasons from Brisbane on their visit to Augathella. Stig Hokanson. The Masons represented a number of lodges throughout Brisbane, and had travelled in a convoy from Cleveland, in the city's east, to be a part of the trip. They also brought along renowned Masonic organist, Keith Redman, to play at the installation, which was followed by a banquet at the Augathella Bowls Club. Staying in Roma and Charleville along the route, the group of 30 utilised local businesses as an important measure to benefit the area. For the visiting group, the trip proved Freemasonry is alive and well in the bush. The tyranny of distance does not appear to hinder visits between lodges in Charleville, Roma, Mitchell, and of course the long-established Augathella Lodge No. 319. RIGHT: Ken and Glennis Corley. 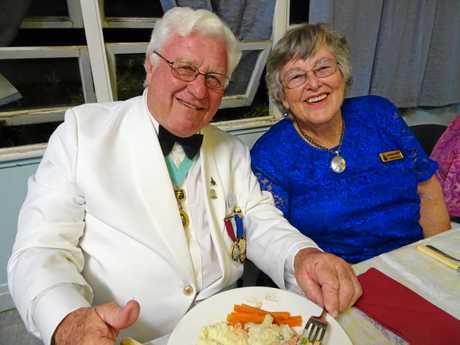 Ken is of Thespian Lodge number 268 in Greenslopes, Brisbane Stig Hokanson.